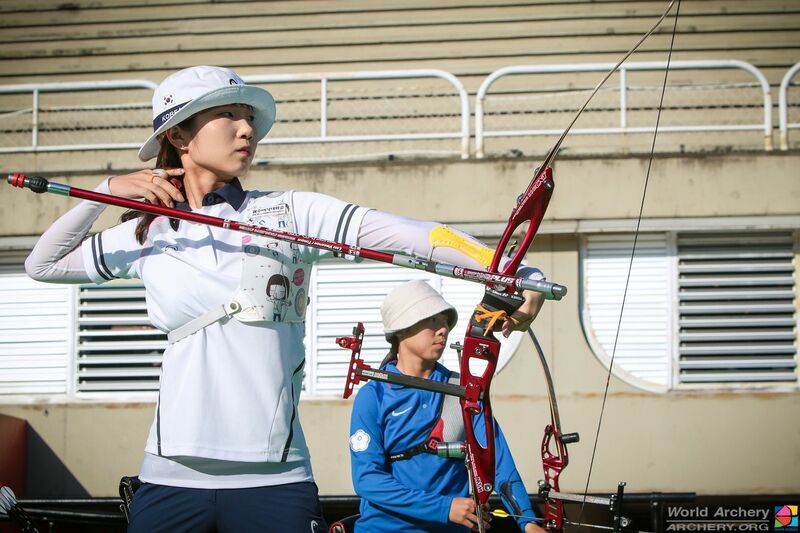 Korea has been the dominant international archery nation since it hosted the Olympic Games in Seoul in 1988. The team is not unbeatable but simply has more elite archers than any other country in the world. Making the Korean national team is often described as the hardest part of an athlete’s career. It’s because the performance model is built on a system of full-time student-athletes and professional squads, sponsored and run by government authorities or companies from all corners of Korean industry. Select schools feed student athletes into the system, from which they are scouted by teams to make career of the sport. This system isn’t unique to archery but, in archery, it has thrived. As of August 2018, here is a not-to-scale map of the Korean professional and student archery teams competing in national competitions, and the disciplines that each team covers. It’s important to note that at very few of these professional clubs is it possible for members of the general public to access the sport. They are, instead, built as teams only for competition. While many other countries have strong participation bases and work towards elite performance, Korea is the opposite. It has an exceptional elite performance system, but facilities that help spread the sport to a wider audience – like Seoul’s archery café – are developing. This highly developed club and competition system is one reason why Korea has been the world’s most dominant archery nation for 30 years. Teams are run by universities, companies, town or city or regional governments, or sports authorities within those locations. Only two clubs, Korea National Sport University and Chungju City, run teams for all four disciplines: recurve and compound, men and women. All the others focus on just one, two or three. Members of the 2018 international team Im Dong Hyun, Kim Woojin and Choi Bomin all shoot for Chungju City. Lee Woo Seok, winner of the Antalya stage of the 2018 Hyundai Archery World Cup, salutes on the podium. He shoots for the Sangmu team, which is run by the Korean army’s physical training corp. There are 28 professional recurve men’s and 29 recurve women’s teams in Korea. That compares to six with compound men and nine with compound women. A decade ago those compound squads didn’t exist. Some of the teams are paired. Reigning Olympic Champion Chang Hye Jin shoots for LH, a construction company, which is based in Seoul. LH only has a recurve women’s team, but in coaching and management structure they are partnered with Seoul City, which is a recurve men’s team. The Korean Archery Association is the national governing body for archery in Korea.